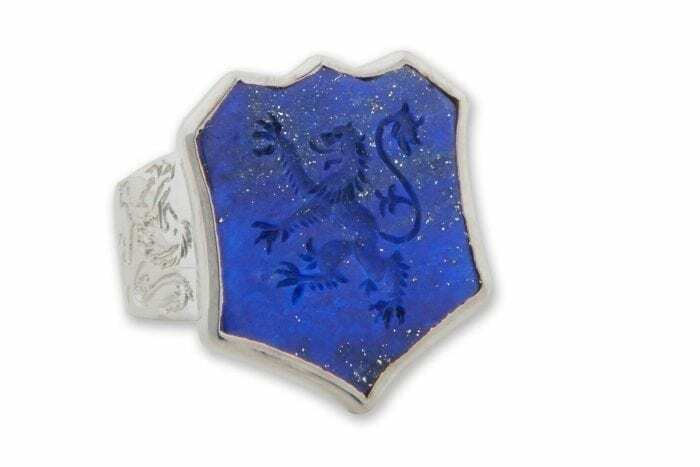 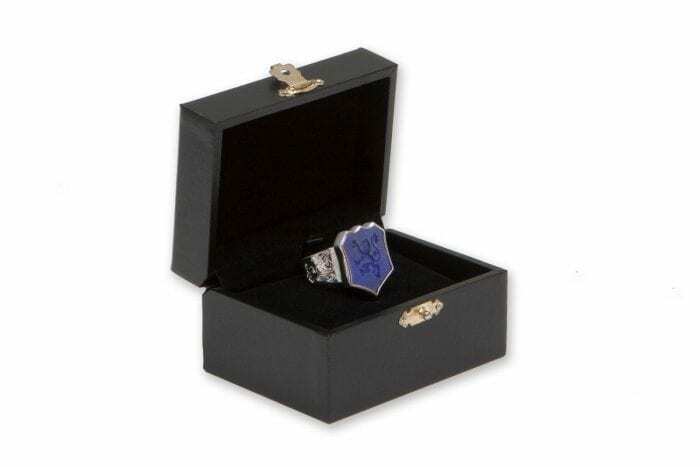 A Regnas Shield Shape Signet Ring has been engraved intaglio for sealing with the noble image of the lion of Scotland. 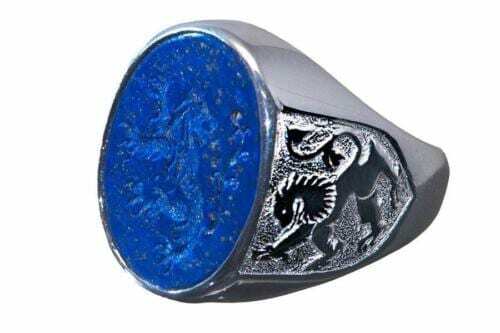 The lion rampant of Scotland has been skilfully engraved on each ring shoulder. 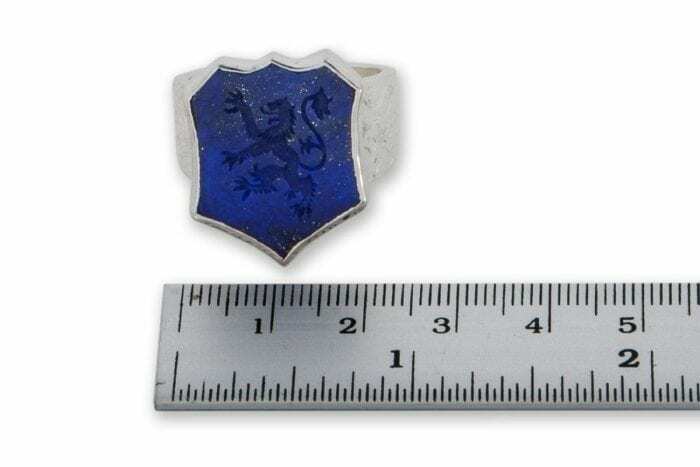 The shield stone face measures 22 x 18 mm (7/8 x 11/16 inch). 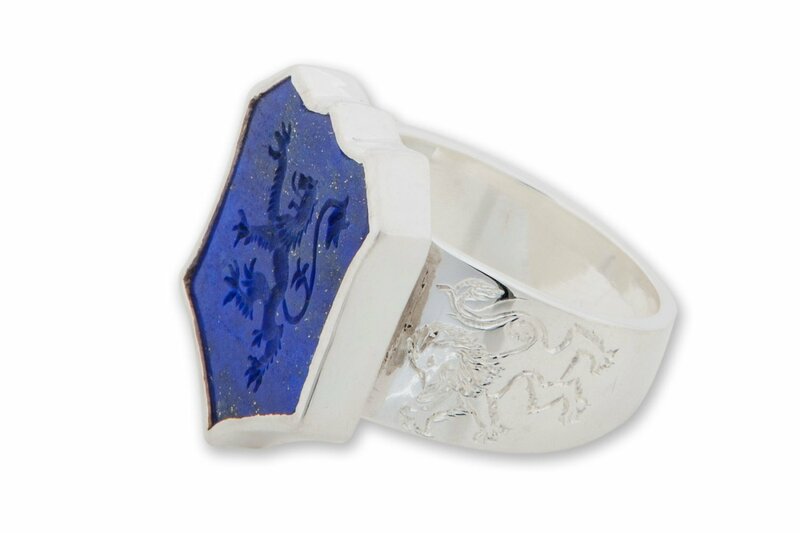 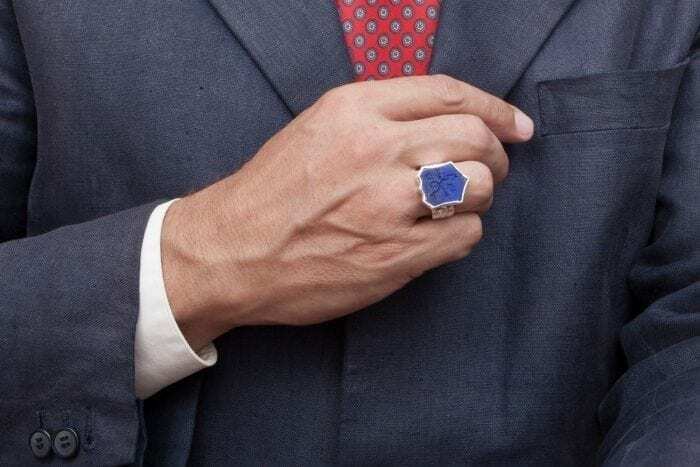 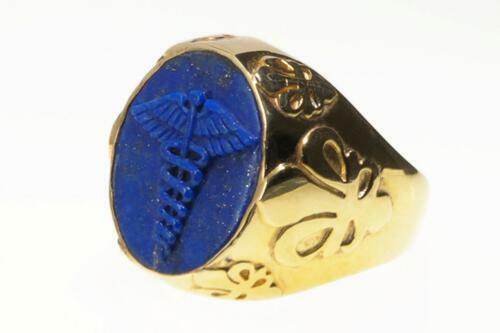 A Regnas medium sized man’s shield ring.